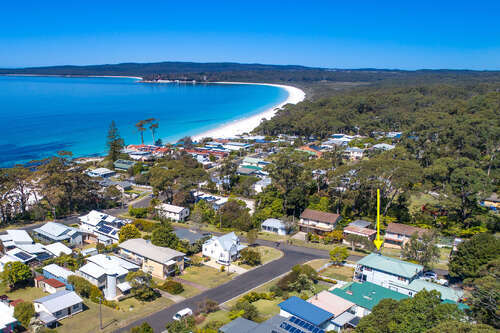 Jervis Bay is a combination of sand and sea, bushland and wildlife, which is too enticing to resist. The clear blue waters and white sandy beaches are reminiscent of an unspoiled tropical paradise. The weather is fantastic most of the year, so you can visit whenever it suits your schedule. Jervis Bay has numerous beaches bordered by parks and a marine conservancy, with resident dolphins, penguins, birdlife, and visiting whales. Next door are the iconic Booderee National Park and Jervis Bay Marine Park. Sailing, fishing, kayaking, camping, diving, and busk walking are all par for the course at Jervis Bay. JB Beach Houses have a variety of beach houses ranging from 2 bedrooms to 5 bedrooms and to suit all budgets. We booked Hyamptons for a very special family holiday and we were all absolutely thrilled as the house is amazing, very spacious and spotlessly clean. It’s in a great position as very close to both Chinaman’s & Hyams beaches. Karyn at JB Beach Houses was helpful & we recommend this property. "Well appointed house - perfect." Great, for our extended family getaway. Lots of different spaces in the house so we never felt like we were on top of each other. "I’ll finish this by saying this accommodation was the whole package and great value for money." I love staying in nice places. Usually I get the ‘this is awesome......but” vibe. However, Entice at Hyams Beach was everything. And more. The balcony deck supplied great views and ambience and a great place to view the visiting dolphins, if you slept in and weren’t actually in the water! The accommodation was spotless and well appointed, wifi was great, Netflix and Foxtel supplied and the beds and pillows left you feeling like you were sleeping on a cloud. We also made use of the spa, which turned into great family chatting time. Although one daughter still lives with us, we don’t really see her much. Can’t wait to get back! "Walk across road to Chinamans beach"
A fabulous place so close to the beach. Walk across road to Chinamans beach. We loved this house as it was so comfortable and very clean. Excellent service.Prompt response to all our emails. Accommodation was amazing and will definitely be back. Views to die for and it felt like a home away from home. It had all the facilities we needed. Thanks Karyn for an amazing weekend away. 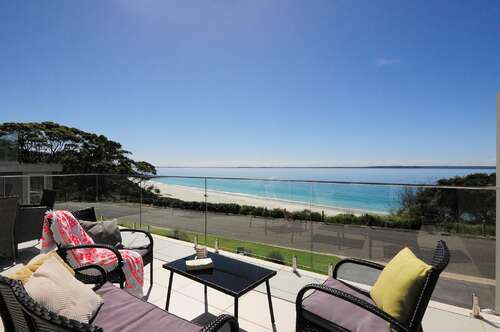 "Unbeatable location at Hyams Beach"
A fantastic experience from booking, arrival and throughout the stay. The house is in an , has all the facilities for a relaxing stay and the JB Beach House team are there to help with anything we required. We will defiantly stay again and have recommended to numerous friends already. "Thanks for a wonderful stay in Hyams Beach"
"Pictures don't even do it justice"
Had a great stay at Hyamptons!! Pictures don't even do it justice. House is absolutely amazing and so spacious. Will definitely be back again! "Recommending your service and facilities." Our holiday was a special event and unlikely to happen again. We were very happy with the House and it's proximity to Chinamens Beach which was our preferred swimming area. Access to shopping facilities is another plus with the new Woolworths development. Location to walks was good. We have no hesitation in recommending your service and facilities. We had a fantastic stay at The Pool House. The property exceeded our expectations, was clean and well maintained and had all amenities we needed. A beautiful view and walking distance to the beach. Great for our two families, only thing that would have improved our stay would have been air conditioning in the pool house and bedrooms. "The house was beautifully clean"
The house was beautifully clean and well presented. The beds were very comfortable. The house and garden were great. Karyn was really helpful in allowing us a later check out time . We would highly recommend your company. "The house is absolutely stunning"
The photos do not do this place justice. The house is absolutely stunning, would definitely stay again. We had a great weekend at poolside. It was very clean and loved the extra room and generous ensuite. The house is not huge but had everything you need. We will be back. "We love Bowen View and it’s new look"
We love Bowen View and it’s new look. The steps at the front and new gate make beach access easier. Great to have the internet! And TV reception is now terrific. Kitchen equipment is very good. "What an ideal spot for the perfect break"
The last question, if it applies to how clean the house was on arrival, is 5 star. Otherwise, we did not experience the housekeeping staff in our 3-night stay. We also left a note expressing just how thrilled we were with the house, along the lines of "What an ideal spot for the perfect break. We'll definitely return as soon as we can!" "Our seventh stay at footprints"
Hi Karyn, sorry for taking so long to make contact after our seventh stay at footprints and as usual everything was spick and span. While the weather was overcast and showery and Jervis Bay wasn’t its beautiful aqua colour, Hyams Beach is always a peaceful and relaxing place no matter what. Hope to come again next year-just love it! Best wishes, Muriel, Toni and family. Loved our stay at the Allure! Would highly recommend. "The houses are always spotless"
JB Beach Houses are always so very professional to deal with. We have booked through them many times and will again. Nothing is a trouble. The houses are always spotless with every convenience. Beautiful clean home it had everything we needed, we enjoyed our stay and would love to visit again! "Thanks for another amazing holiday"
"What a wonderful place to stay! " What a wonderful place to stay! The house was great - clean, comfortable (the floor heating in Winter is lovely), excellent location, and well fitted out to meet guests needs. The view was spectacular - we loved seeing the dolphins each morning and afternoon. Karyn was great to deal with also. We will be back! The house was immaculate when we arrived and the key box made it easy to arrive and leave whenever suited us. The house had everything we needed and we had a very comfortable stay. The views are stunning and the location is convenient. This was our second time staying at Seahaven and we will definitely be coming back again. What a lovely property with a gorgeous ocean view! Would definitely recommend for friends & family. Accomodation had everything that you would require for a comfortable stay. Booking process was easy too. The property is exactly as advertised! A stunning location, a house which is well designed with an excellent layout. We couldn't really fault a thing. The small touches were also fantastic like the heating been on when we go there so we arrived to a warm house. We thoroughly enjoyed our mini break and look forward to coming back in the future! Very well appointed property easily catering for 10 guests. Wonderful views with incredible sunrises. Kitchen with Butlers kitchen a plus along with wine fridges that were very welcome. Luxury fittings completed the décor. Would 100% recommend to others looking for a position so close to both Hyams & Chinaman's Beach. Perfect for grandparents on the top floor with parents and kids below.
" House was beautiful and close to everything. " One of the best places I’ve stayed in. House was beautiful and close to everything. "We loved our stay at High on Tulip"
We loved our stay at High on Tulip. We are returning visitors having stayed there three times before. It's a great home when there are a number of people staying together. The lounge, kitchen and dining areas are large enough and seperate enough from the bedroom areas to create a sense of spaciousness and privacy. "Great location with amazing views"
Great location with amazing views. This house exceeded our expectations. We thoroughly enjoyed our one week stay and look forward to staying at this property again.
" Entice is the perfect word for this home"
"We had the best time at Allure!!! " We had the best time at Allure!!! The location was perfect and we have no hesitation in recommending this property. We are already looking at booking again for the next Summer holidays. Thanks for a memorable holiday. "Bowen View - great stay"
" The house is amazing"
The pictures in the website do not show the size and beauty of this holiday house. The house is amazing and everything is so well thought out. We loved it so much and would definitely be coming back. "Could not have picked a more perfect location." Amazing place could not fault a thing we watched the whales, dolphins and the kids on the beach from the deck. Could not have picked a more perfect location. "Poolside was an absolute treasure!" Pool side at Hyams was just an absolute treasure! We arrived at the place very clean & tidy, beautiful, cozy & modern interiors. All equipments required for a weekend stay was there! It’s a short walk from the beach, perfect place to unwind and relax for the weekend, everyone enjoyed the good sized pool. Very grateful to Karyn and Owners for considering our dog to come along, our first holiday in Hyans trully amazing! Can’t wait to come back again and hopefully wi-fi installation soon! "It is just amazing !" This is the second time I've stayed in this house.. would love to come back again, it's just amazing! Another wonderful trip to footprints. That’s why we come back year after year.
" The view was spectacular"
Stunning, spacious apartment. The view was spectacular from the large balcony and living room. We loved this accomodation. Modern design, spotless clean and fresh. All necessities were included (full kitchen and bathroom items). Great Location. Beautiful for cold weather with Fire place and Cool for the Summer with he pool outside. We would love to be back. We had a great stay. Would definitely book this place again. Karyn was great - very helpful. Thankyou for a great holiday. The house was fantastic. View was amazing. The house was clean and tidy, caters for all needs. Heating was great. Thankyou Karyn! We will be back! Gorgeous property and a great deal. My mum had recommended it to me, and we will continue to recommend the property to other people. So close to everything. The little information package there was very informative too. I have nothing negative to say. Even when we had no water to start which was no fault of the owners they came straight away to fix and it was no problem and they were very friendly and apologetic. I would stay again and am planning on it next year same time. Thankyou for having us! Seahaven was perfect for our family of three. The views form the bedrooms on the first floor were magnificent. The very, very short walk to beach and National Park made enjoying the peace and beauty of Jervis Bay a breeze. The townhouse outlook was stunning! The pictures on the website do not do the property justice. We loved our stay and only wish we could have stayed longer. So relaxing, convenient for beach access and a great place to go on holidays. :-) We will be returning again soon. Thank you to Karyn and Jeff you guys are amazing. Definitely coming back! Such a great house.. beautiful spot! The house was very clean when we arrived and the key system was very easy. The property was very well maintained. Couldn't complain about anything and we'll definitely be back. Had the best weekend - Geoff & Karyn are so accommodating and helpful. 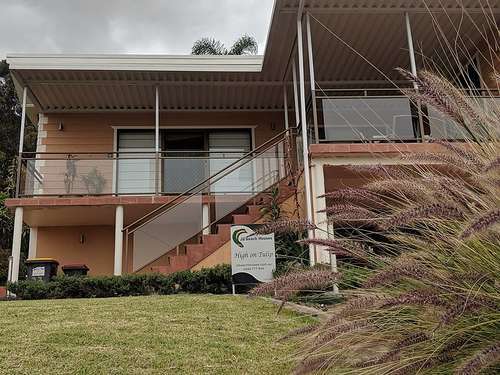 Will definitely use their services again and the property was fantastic and well appointed to allow for a more comfortable stay. We are booking again as this house surpassed our expectations from the Butlers Pantry to the beautiful decor that flows throughout this spectacular property. It is a wonderful place with easy access to the beach. Beautiful home and fantastic customer service, we'll be back for sure! Great holiday stay, the information provided was good, lovely that the heating was turned on so it was nice and snuggly to arrive. Having the basics in the pantry is a lovely touch. Would be better if check out could be later. We had a lovely time. The house is beautiful and well presented, views are exceptional. Kitchen was well equipped (no extra virgin olive oil, but didn't bother us). It was beautiful house. Beautiful ocean veiws, minutes walk to the beach. Highly recommended! Great overall. Lovely property with lots of space. This is a fantastic place and will definitely stay here again. The pictures on the website do not do the house any justice. We had a lovely time. Perfect location in a quiet spot and just meters from the beach. I am looking at booking it again in few months time! We were happy with everything and would definitely come again. Thank you. It was great!!! will definitely be booking again!!! We had a wonderful,few days and regretted not being able to take up the offer of the late check out. Extremely well appointed, great location and a pleasure for our family to enjoy. Hi Karyn & Geoff, Congratulations, Allure is just beautiful. We enjoyed our short stay there. You have done an excellent job with the building, furnishings etc - there wasn't a thing that we needed - we were well catered for. John & I are in the process of retiring and have decided to budget for a week's holiday at Allure every year. Had a lovely stay at Hyamptoms! Luxary feel at an affordable price, and at a great location! We love Footprints and will come back again and again. Karyn is always so accommodating. What a great property and what great staff (agents and housekeeping)!! Thank you for making our stay a memorable one. We had a couple of special requests and Karyn was amazing in helping us getting the logistics sorted out. The property itself was immaculate, couldn't have asked for a better stay - thank you! The house was excellent, and the agency very efficient! A beautifully well maintained house. We had a lovely stay. Will definitely be back.